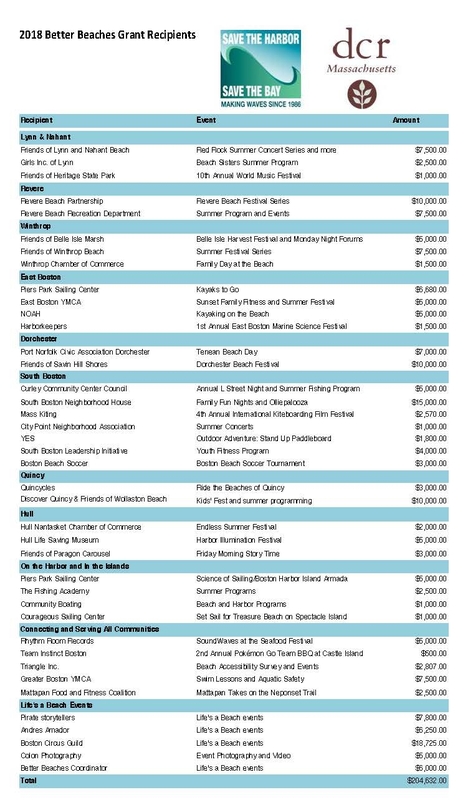 On Saturday, June 9, Save the Harbor/Save the Bay and the Department of Conservation and Recreation (DCR) awarded more than $200,000 in Better Beaches Program grants to 37 organizations in 9 communities to fund nearly 150 free events on the region’s public beaches from Nahant to Nantasket in 2018. 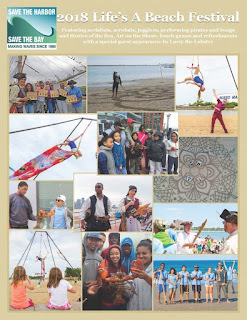 This year’s grants will support free concerts and kayaking, family beach festivals and movie nights, youth beach parties, songs and stories by the sea, and art on the shore in the region’s beachfront communities of Lynn, Nahant, Revere, Winthrop, East Boston, South Boston, Dorchester, Quincy and Hull, bringing more than 1 million people back to the beach. With the support of The Boston Circus Guild, this year’s line-up also includes 10 free Life’s A Beach Festivals, featuring trapeze artists, acrobats and jugglers, as well costumed storytellers, performing pirates, a community art project by environmental artist Robin Reed and mandalas in the sand by intertidal artists Andres Amador. Save the Harbor/Save the Bay would like to thank the Baker- Polito Administration and Metropolitan Beaches Commission Co-Chairs Representative RoseLee Vincent and Senator Brendan Crighton and the legislative and community members of the Commission, as well as and our partners at the Department of Conservation and Recreation for making this great program possible. 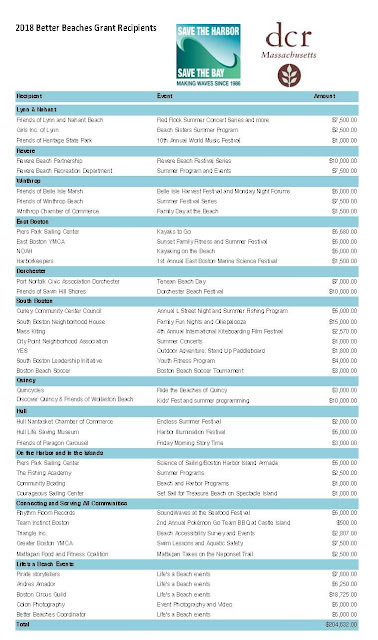 Save the Harbor also thanks our Better Beaches Program sponsors, Harpoon Brewery, JetBlue, and the Boston Circus Guild, and the hundreds of participants and donors to the Harpoon Shamrock Splash, which has raised more than $250,000 to support free beach events since it began in 2011. "At JetBlue, we are committed to our community and fun is one of our core values,” said Donnie Todd, Corporate Responsibility Liaison for JetBlue, who led a team of 30 participants in this year’s splash. "More than 3,000 JetBlue crewmembers call Boston home, we cherish our harbor and proudly support Save the Harbor/Save the Bay and the work they do on the region's public beaches." 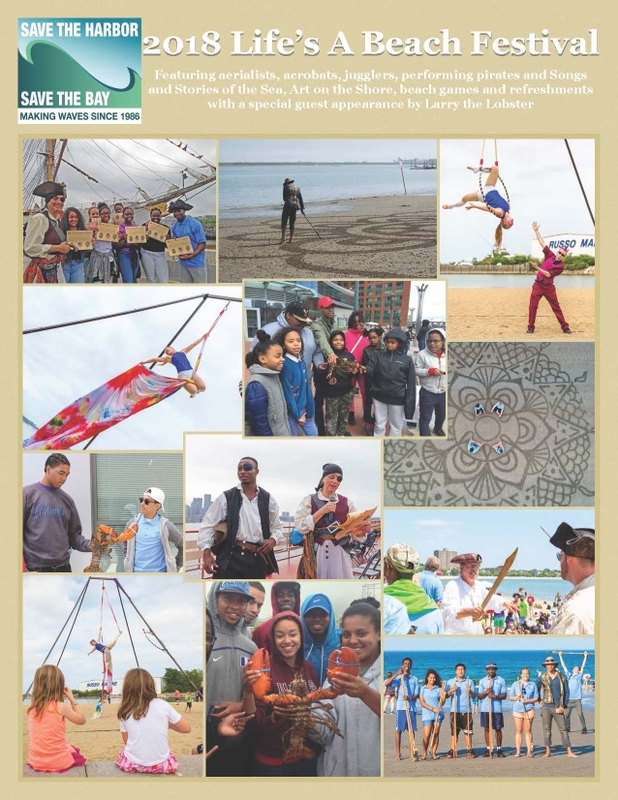 For more information about Save the Harbor/Save the Bay visit their website at www.savetheharbor.org You can find out more about this year’s Better Beaches program on their youth and beach blog, Sea, Sand & Sky at http://blog.savetheharbor.org and by following savetheharbor on social media.